After the huge success of flagship branches in Edinburgh and Glasgow, Scotland's best loved tapas restaurant comes to Aberdeen. 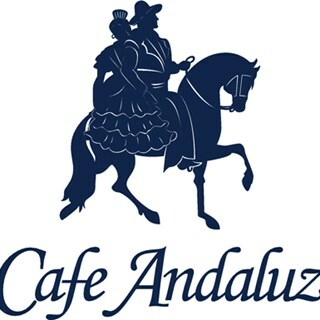 We serve tapas, paellas and a huge range of Spanish wines and cocktails in a relaxed and bustling atmosphere. Perfect to share for couples, families and large parties alike, tapas are more than just appetisers. When savoured at lunch or dinner, with a glass of sherry or red wine, a full array of these tasty morsels can be a meal in themselves. An authentic taste of Spain on Bon Accord Street Aberdeen. Loved it. Food is fabulous and staff great. We had a  nice big table in the window, so lots of room for the plates - a real bonus. Brilliant! Staff excellent and helpful. Food 7 out of 10. Black Pudding was so hard which suggested it had been re-heated and Lamb Dish very disappointing as very little lamb supplied! All vegetables so expensive vegetables! Busy so staff and chefs were as well. No excuse though as top dollar paid for the whole experience. We came here to celebrate our four year anniversary and loved every second. The food was amazing and service was second to none. Our waiter was amazing and even ran to get me a glass of water when a bread crumb went down the wrong way! We'll definitely be back. Food fabulous and service first rate. Thanks for the extra tablet for our teenager! We've been here and the Glasgow one a couple of times and still love it. Best Tapas in town! Great choice, efficient service and although possibly slightly expensive it is always very nice food. First visit for my friend and I. Couldn’t fault it. Although there were just the two of us, we were sat at a table for four which gave us plenty room for our tapas. The waiter explained what was in every dish which helped with what we ordered. Definitely be back. Lovely staff, great atmosphere and tapas are great! Excellent food and service. We were made to feel comfortable and were served promptly and efficiently. Will definitely be back soon. Excellent food our second time here and we will be back. We were one of only around 6 tables occupied & yet the service was exceptionally slow & we sat without placing an order or with dirty plates on the table for a long time. Service was slow even when the restaurant wasn’t busy. Our food arrived quickly but once we were finished we waited around 20mins to get the table cleared and a dessert menu. Waiters found it tricky to understand us and kept quite a distance during the evening. Food was super though.